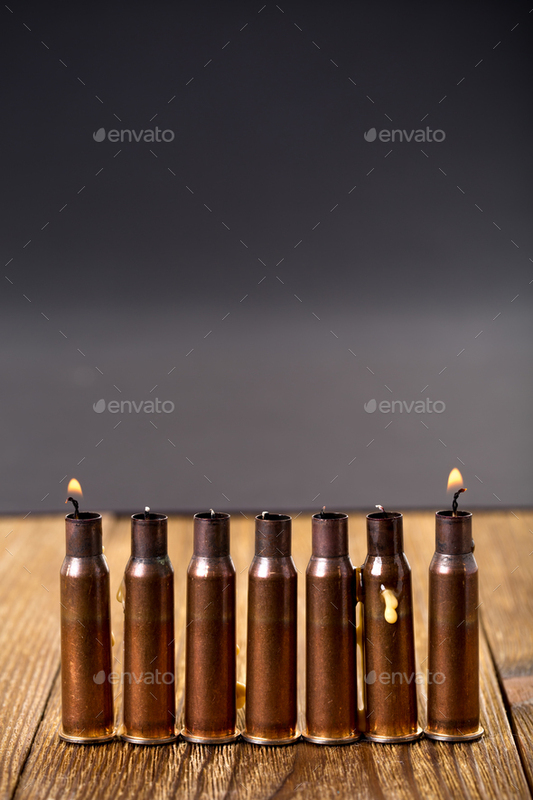 Burning candles and empty rifle cartridges. Burning candles and empty rifle cartridges. As a symbol of war and victims. Located on brown wooden table against black background.